Has norovirus ruined your package holiday or cruise within the last 3 years? Start your no win, no fee claim today by contacting norovirus holiday illness specialists, Your Holiday Claims. Your Holiday Claims has already helped hundreds of British holidaymakers claim the compensation they deserve after their holidays were ruined by norovirus. 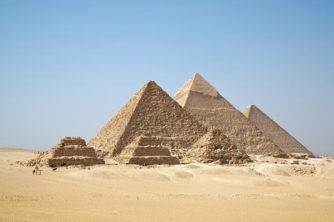 We regularly speak to holidaymakers from all over the UK who have returned from holiday dissatisfied and dismayed by their tour operators response to a norovirus outbreak. Many tour operators will offer vouchers or small compensation amounts for the suffering caused by norovirus.Accepting such offers could leave you undercompensated. 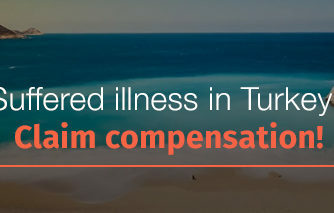 By contacting Your Holiday Claims, we will ensure that you receive the maximum amount of compensation available. We have an unrivalled claim success rate and over 50 years experience in holiday illness claims. The expert norovirus compensation claim solicitors at Your Holiday Claims have secured £42,500 for holidaymakers following an outbreak of illness on board a Fred Olsen cruise ship. 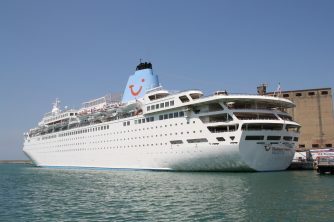 The substantial payout was shared between 26 holidaymakers who suffered gastric symptoms on board the Boudicca cruise ship over more than six cruises. You can get more information on how we have helped people like your receive the holiday illness compensation they deserve by taking a look at ourÂ real life success stories. If you or your family have been affected by norovirus whilst on a package holiday or cruise within the last three years, the expert solicitors at Your Holiday Claims want to hear from you. Our expert norovirus compensation solicitors will work tirelessly to settle your claim in a fast, hassle free manner. To start your claim call us now onÂ 0330 100 2851. Or, if you would like one of our dedicated norovirus team to contact you can simplyÂ complete our holiday claim form online.